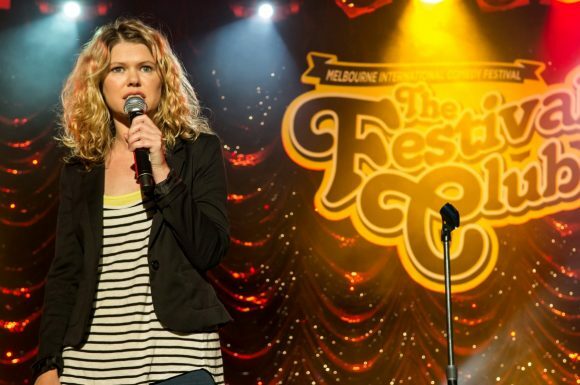 Going to a show at the Melbourne International Comedy Festival? Whether you want to eat or have drinks to keep the good times rolling, there’s just the place just around the corner. 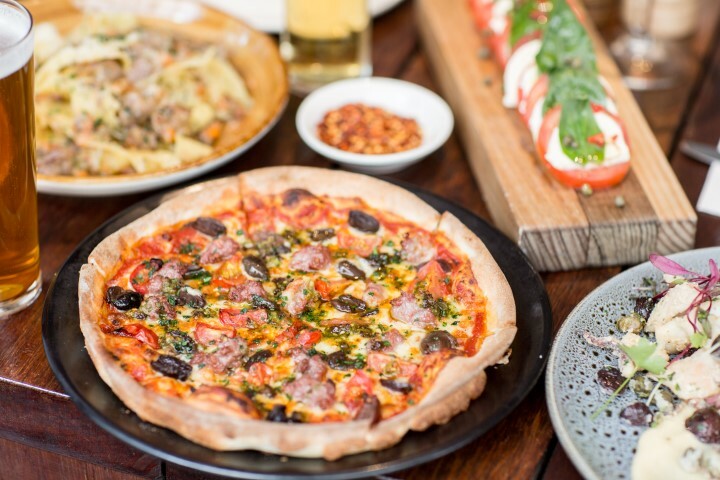 With yummy, crispy $10 pizzas and $5 Peronis, this casual Italian quickly hits the spot rather than your wallet. Show your festival ticket and you’ll get some free house-marinated Mount Zero olives with that first drink too, or indulge in their extended Aperitivo hour. Fatto Bar & Cantina also has some fancier pre-theatre options: two courses for $45 or three for $55. 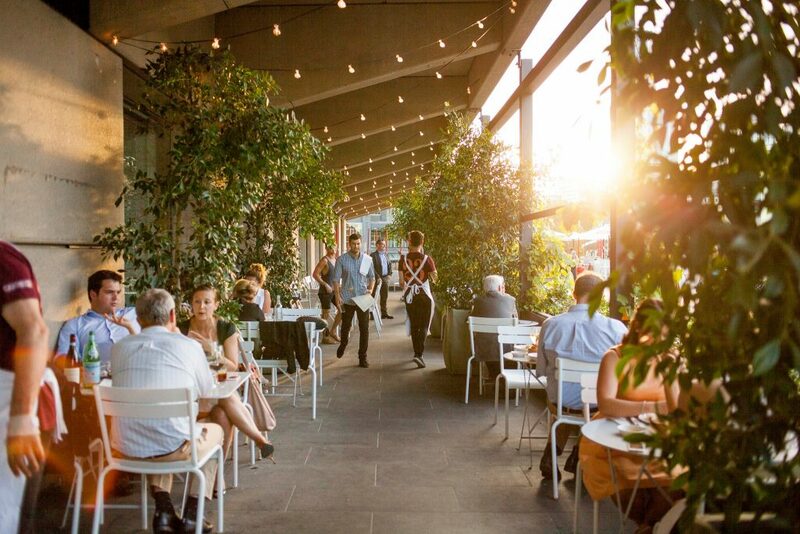 Relax on the riverside terrace and enjoy pretty city views before strolling to your Arts Centre Melbourne show. Looking for sociable bites like a cheese or salumi board? Need a drink, whether it’s Seven Seeds coffee or a glass of Coonawarra cab sav? Bombini Buzz has got you covered. Nestled at the edge of the Arts Centre’s Hamer Hall, it’s also got sweet riverside views, including a close-up of Princes Bridge. With any luck, your show will slot in nicely with happy hour: Monday-Saturday 5-7pm and 3-5pm Sundays. Throughout the festival there’s also the $40 All the Fun Stuff special: a little feast of little bites like crispy pork buns. Not only is it located about a five seconds away from Flinders Street station, but Arbory Bar and Eatery is located exactly zero seconds away from live comedy. Their pop-up silent comedy festival is on Thursdays until 18 April, so you can enjoy their gourmet toasties and excellent spritzes before an hilarious and unique comedy experience. The Melbourne Gin Company have teamed up with The Deck Restaurant to bring the ‘official gin’ of this year’s Comedy festival. Enjoy a refreshing gin and tonic pre or post show, right around the corner from the Arts Centre. You’ll come for the gin but stay for the stunning view of the Yarra and city skyline. 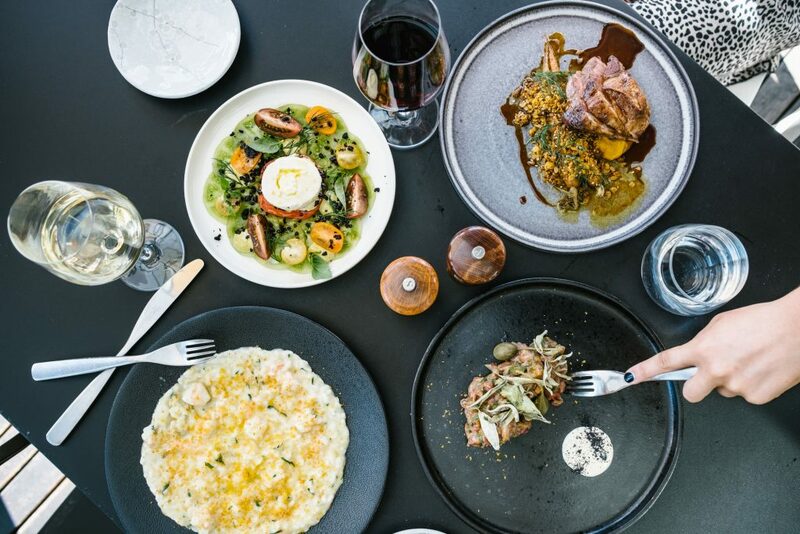 George Calombaris’ Gazi, named for his favourite Athens neighbourhood, offers smart, fun takes on Greek classics. Pop in for a superior souva, like the soft-shelled crab version with Japanese mayo, herbs and honey, or some dips with attitude. There’s wine, both local and Greek, and crafty cocktails with a Hellenic twist. Check out the $30 cocktail-and-bites aperitivo special available during the festival. Surely there’s no faster, tastier meal on the planet than pizza. Tazio ticks both boxes, going the extra mile with toppings like Tassie smoked salmon and Meredith goats cheese. They have specials every day, including $15 jugs o’ beer on Thursdays and $15 cocktails on Saturdays. So you’ll be feeling good for the next show at the Australian Centre for the Moving Image or Forum Theatre. Only have time for a quick drink between shows? 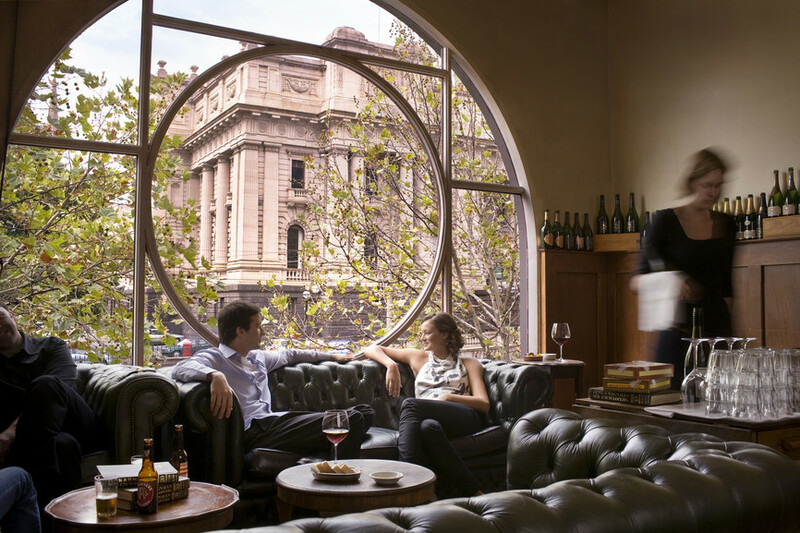 Look no further than the Peter Cook Bar, the festival’s official watering hole within its primary venue, the Melbourne Town Hall. Named for the late, great British comedian, it’s a popular spot for festival talent to chill. Superchef Andrew McConnell’s Asian-inspired Supernormal is one of the city’s hottest foodie destinations. Whether you’re popping in for snacks like beef tataki and duck bao or the $95 banquet, it’s super-satisfying. They’ve got the drink you want too, from umeshu spritz to Hong Kong-style milky sweet tea pepped up with bitters. Kanpai! Named after a winding coastal highway in Hawaii, Hana is the girl next door you want to meet. This CBD tropical escape specialises in beachy bar snacks and tiki cocktails. Which drinky will you get with those crispy prawns or Maui sushi? From Koki Beach daiquiris to Hana coladas, they all refresh like Waikiki waves, but who can resist the audacious Honolua Bay Sharknado? Served in a big shark’s head cup, it will get you giggling before the show even starts. The show’s over but you’re still hungry for comedy. Get your fill at the Comedy Festival Club opposite the Town Hall, where laughs and drinks flow. There’s a mixed bag of entertainment, from comic lip-synch battles to Thursday night’s 10 hand-picked emerging comedians for $10. Big festival names also hang out here. In fact they often let it all hang out, whether on stage for unscripted, possibly X-rated stand-up, or on the dancefloor. 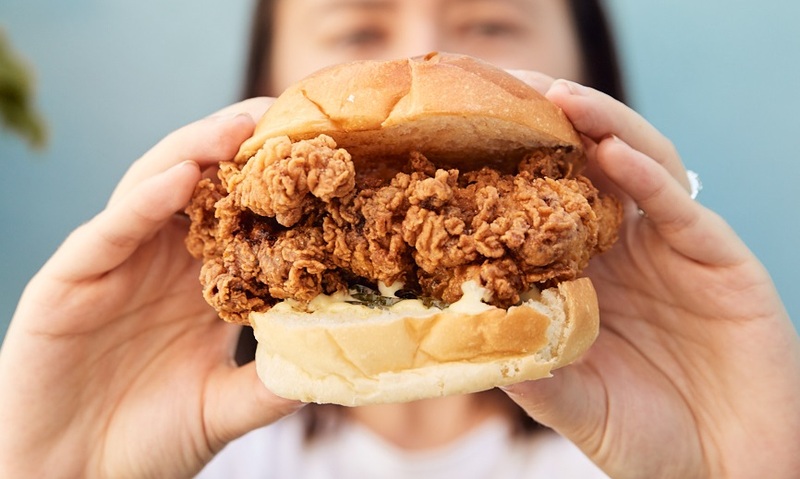 With four happy hours a day and fried-chicken until 3am, Cream and its sister rooftop Peaches are the prettiest new spots you’ll be peachy keen to humble brag you found first. The 60’s pastel booths match the cocktails (try the Let’s Get Physical – vermouth, peach tea and soda), the moss green stools match the picklebacks and the snacks match your late night appetite. Chinatown’s a good bet for late-night bites. Nam Loong Seafood Restaurant is open until midnight on weekends, serving Cantonese classics including sang choi bao and 11 types of congee. When it gets really late, maybe you’ll crave their old-school Aussie-Chinese favourites, like dim sims and special fried rice! Among the city’s classiest bars for 20 years now, the Melbourne Supper Club helps you keep things nice as the night continues. The obscure entrance leads to a wood-panelled space filled with big armchairs and couches made for settling in with drinks and snacks. It’s got one of the most impressive wine lists in town, and is open until the wee hours, so take your time. For even more ideas, check out our guide to late-night dining. The Melbourne International Comedy Festival has also compiled its own handy guide for dining and drinking. Head to their website to find out about festival specials and more.